There is a new meme floating around the internet and it involves finding the rarest of cult hits on Netflix. Anything from classic 80s comedies, to Japanese cartoons, even art-house flicks from the 50s. 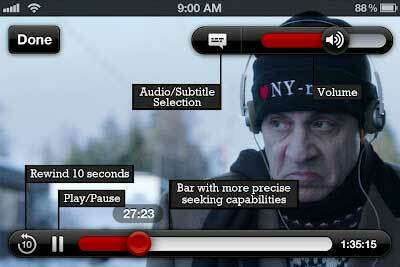 Well, here is a new one, the 11-minute entertainment clips Netflix created to test out new streaming devices. “This is television done right.” “Absolutely spellbinding!” “This wasn’t a show. It was a revelation.” These are only some of the raving customer reviews for Netflix’s first original TV show…I asked Netflix about it, and was told that the clips were produced a few years ago for testing purposes. Also, the moon-walking Shakespeare aficionado starring in them doesn’t actually work at Netflix. He’s a freelancer, specifically hired for this project. It’s silly and childish, I know. But where else can you write an over-the-top review just to make yourself laugh? If you’re looking for a surf movie that you can’t find at Blockbuster or Netflix then you will love The Surf Network. This website serves as the web home for all of your favorite surf films. The site is also home to snow and moto movies. Check it out. Here’s more evidence that Netflix is slowly chipping away at traditional TV viewing. According to a public Facebook post by CEO Reed Hastings, Netflix subscribers watched a total of 1 billion hours of video for the first time in June. Do a little back-of-the-envelope math, and that comes out to more than an hour of video per subscriber each day. Considering the average viewer in the U.S. watches about five hours of TV a day, that’s a huge number worth watching. After all, there are only so many hours in a day, and if a Netflix subscriber is tuning in to an hour of video on the service, that likely means one less hour of actual live TV he or she is watching. The era of on-demand TV is slowly approaching…when will the hours watched of on-demand TV match that of live TV? Netflix continued the roll-out of its Just for Kids UI to a number of connected devices this week. 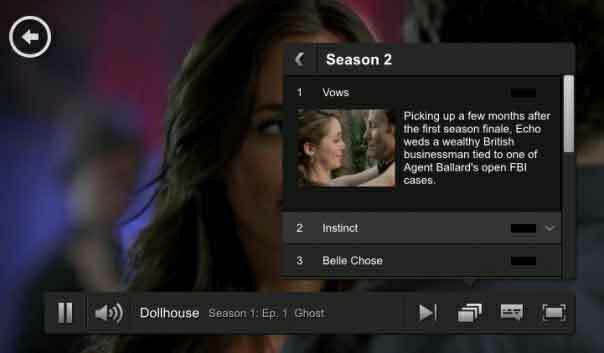 Upon launch, the app prompts viewers to either access the regular Netflix experience or Just for Kids. The kids section adds TV show characters as categories and allows children to find episodes of a show without relying on text. Check out a few snapshots of Just for Kids on the Boxee Box below. Kids content is undeniably one of Netflix’s key strengths, and the company has been adding numerous kids TV shows from PBS, Nickelodeon and others to its catalog. In fact, Netflix has been so successful with the youngsters that some blame it for Nickelodeon’s recent double-digits ratings drop. Mark Malkoff just can’t help himself. The new York-based comedian is one of those people who find challenges in everything. So when a company like Netflix offers unlimited streaming for $8 a month, someone like Malkoff starts to wonder about his own limits. Earlier this year, Malkoff embarked on his Netflix challenge in an attempt to figure out how much value he could get out of his $8 subscription within a single month. 30 days later, Malkoff had watched 252 movies, beginning to end, including the credits. Excessive use like this might have triggered automatic service suspension at other companies, but quickly Netflix realized the promotional potential of his challenge, and started tweeting about it. This week, the company even invited him to their headquarters where dozens of employees celebrated him as the most obsessive user the company ever had. This isn’t the first time Malkoff has taken on an endurance challenge like this. A few years back, he successfully visited each and every of Starbucks’ 171 stores in Manhattan within 24 hours, consuming something at every store. Malkoff has also lived in an Ikea store for a week, and spent 30 days flying on an AirTran jet. Here are 11 new and new-ish documentaries now streaming that offer interesting, frustrating and downright sad stories about cities. A film about octogenarian and New York Times fashion photographer Bill Cunningham, who rides his bike around New York City taking pictures of clothes and the people – both ordinary and extraordinary – who wear them. A unique look at the changing fashions of one of the world’s centers of culture.